Set in 15th century France, SAINT JOAN follows a country girl whose mysterious visions propel her into elite circles. SAINT JOAN stars three-time Tony Award nominee Condola Rashad (A Doll’s House, Part 2) as one of history’s greatest heroines in a major new production of Bernard Shaw’s epic work directed by Daniel Sullivan (Lillian Hellman’s The Little Foxes). Set in 15th century France, SAINT JOAN follows a country girl whose mysterious visions propel her into elite circles. When the nation’s rulers become threatened by her popularity and influence, they unite to bring her down and she finds herself on trial for her life. This timeless and powerful play dramatizes the limits of an individual in a society dominated by overwhelming political and religious forces. Recommended for 10 + Children under the age of 4 are not permitted in the theatre. Every performance day, on a first-come, first-served basis, a limited number of $30 Rush tickets will be made available at 10 AM. To unlock this feature, Manhattan Theatre Club simply requests that you spread the word on social media through the TodayTix app. Once you unlock, the feature will remain unlocked for that show until you make a purchase. Unlocking does not guarantee availability for that day. Tickets are available on a first-come-first-serve basis. Rush price is subject to change. Company may offer programs whereby the Company would make available certain features of the Services when you share information about the Services through an SNS or click on the “Unlock without sharing” button in the Application. 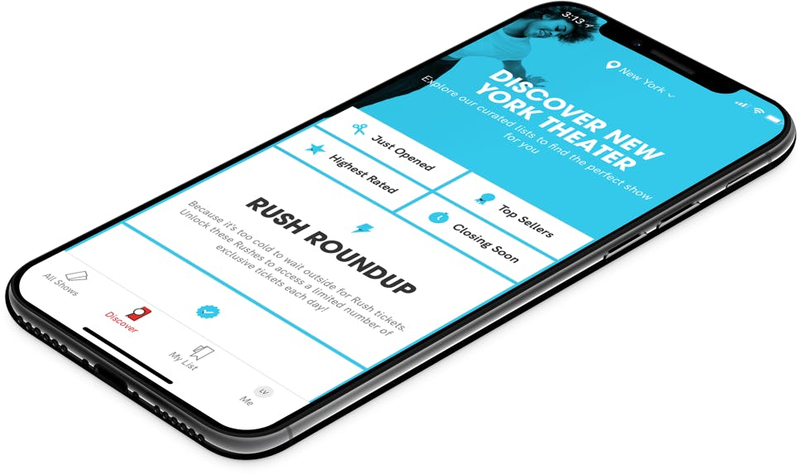 When you are considering purchasing a ticket for a specific show or after you purchase a ticket, if you select the “Share” button in the Application, Company will make available to you a personalized link to a Digital Property with text stating, for example, “Check out Saint Joan on TodayTix! I’m thinking of going…” or something similar, which you may choose to share with your friends via SNS. Once you have shared the personalized link through an SNS using the Application or selected the “Unlock without sharing” button in the Application, Company will make available to you the RUSH feature, which will provide you with otherwise unavailable offers for tickets to live events occurring in the next week. The opportunity to take advantage of these offers is only available to users who share a personalized link to an SNS through the Application or select the “Unlock without sharing” button in the Application.